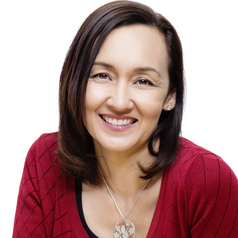 Nicole Lee is Adjunct Professor at the National Drug Research Institute (NDRI) Curtin University and Director of 360Edge (360edge.com.au) a specialist evaluation and training consultancy for the alcohol and other drugs and mental health sectors. She is a consultant psychologist, and has worked in the alcohol and drugs and mental health for 28 years as clinician, educator and researcher. Her area of expertise is in alcohol and other drug policy and practice, including, methamphetamine/'ice', cannabis policy, and harm reduction and treatment approaches. Nicole currently serves on the Australian National Advisory Council on Alcohol and Drugs (ANACAD), is Past National President of the Australian Association for Cognitive and Behaviour Therapy (AACBT), and Deputy Editor of the Drug and Alcohol Review journal. She has previously served on the boards of the Australasian Professional Society on Alcohol and other Drugs (APSAD) and the Alcohol and other Drugs Council of Australia (ADCA).